Striking truck drivers raise their hands in solidarity with other strikers in more then 240 cities across the country. Reports from MEK network inside Iran indicate a major rise in protests in Iran in comparison to the month of April. A report by “our Iran” confirms the rise in protests in the month of May. Our Iran published a summary highlighting the increase in protest activities in May. The month of May saw protests spread like wildfire across Iran’s urban and rural population. 1093 individual protests took place, an average of 35 a day, with people from all walks of Iran’s population putting down their work and taking part. Poultry workers stood aside truck drivers, laborers, and teachers, united in their shared disgust for the tyrannical regime. There has been a marked increase in protest activity. April saw an average of 15 protests a day across Iran. May more than doubled this figure. The bulk of the May protests came from striking truck drivers, whose strikes affected 285 of Iran’s cities. 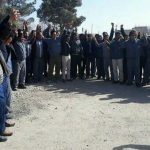 Between May 22nd and June 2nd, heavy vehicle drivers in all 31 of Iran’s provinces put down their keys and turned off their engines in an act of defiance. They had plenty to protest. The mullahs have increased insurance prices, highway tolls, and cargo commission rates, in a thinly-veiled attempt to further line their own pockets. Illegal charges, job shortages, and exorbitant vehicle repair prices left the truck drivers with little money for themselves. The plight of the nation’s truck drivers attracted the attention of other industry sectors. The leader of Iran opposition, Maryam Rajavi, pledged her support and encouraged others to stand with the drivers in a gesture of solidarity. As a result, taxi drivers, minibus drivers, and petrol truck delivery drivers joined the strike, leaving gas stations empty and long queues of cars waiting to fill up. Taxi drivers at Tehran’s Imam Khomeini Airport also put down their keys to protest their inability to enter the traffic area to pick up patrons. Their plight also inspired others, with taxi drivers across Iran joining their cause, and that of the truck drivers. Taxi drivers in a total of 11 provinces joined the strike in protest at their own appalling working conditions. May saw no less than 249 individual labor protests across 62 of Iran’s cities. The majority of these were born from discontent over non-payment of salaries, unfair dismissals, and closures of factories. Railway workers, coal miners, sugarcane workers and factory workers were among those that coordinated strikes against the regime. 38 separate protests came from plundered investors. These investors lost their savings after the mullahs looted credit institutions. In Rasht, angry protestors tore down a statue of the head of the central bank of Iran, Saif. In Tehran, demonstrators threw eggs and tomatoes at the doors of the monetary prosecutor’s office, the Trade Bank, and the Future Bank. In another protest, investors conducted a sit-in outside the Central Bank. They blocked the street, and cars prevented cars from moving. On May 11th, the retired population of Iran took to the streets to vent frustrations of their own. Pensioners in Iran frequently do not receive payments, and when they do, they are so meagre that they are forced to live in appalling conditions. Retired teachers, steelworkers, and petrochemical workers took to the streets to demand a fairer and more reliable pension system. Teachers accounted for 38 protests across 34 cities in May, a fivefold increase of teacher strike activity for April. 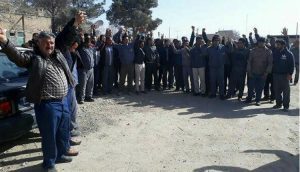 The Council for the Coordination of Teachers Organizations called on teachers across Iran to strike over unpaid wages, discrimination, and limited job stability. Like the MEK, the Council has been instrumental in coordinating resistance to the clerical regime. The teachers faced a violent response from the regime’s agents. They targeted the striking education workers and beat them up, targeting female teachers. Many of those in attendance, including members of the Teacher’s Association, were arrested for their involvement in the protests. Iran’s student population was also vocal in its criticism of the clerical regime. They raged against systematic corruption, the regime’s involvement in university affairs, the plundering of student’s tuition, cutting educational terms, and the unplanned movement of university locations. 12 cities saw student protests in May, showing a renewed determination from Iran’s youth to risk their lives and their freedom to have their opinions heard. On May 12th, Iran’s shopkeepers and market stall owners closed their stalls and shops for business. They were protesting a high exchange rate and significant price fluctuations, causing economic uncertainty for them and their families. Iconic shopping areas of Tehran were deserted. The Kuwaiti Bazaar, Sadaf Passage, sections of Cyrus Street, and the Aladdin Passage were among the areas affected by the strike. Merchants in Baneh continued their strike after the closure of border crossings impacted their supply routes. They lifted the strike after the regime promised to address their demands. However, when the regime failed to deliver any reforms, they merchants and shopkeepers of Baneh resumed their strike on May 15th, in solidarity with their brothers and sisters in Tehran. Kazerun became the site of clashes between the regime’s forces and the enraged Iranian public. After protestors gathered to air their discontent at plans to divide the city, the Iranian security forces opened fire on those in attendance. Four citizens were killed, starting a period of public mourning which saw the local amenities shuttered. The people got their wish. The government backed down on its plans to divide the city. However, it cost four martyrs their lives and many more their freedom after the authorities carried out widespread arrests. Merchants at the Shahrud Grand Bazaar went on strike over the regime’s proposal to move the Roads and Transport Department out of Shahrud. The Iranian authorities wanted to move the government department to Semnan, taking with it many of Shahrud’s employment opportunities. After intense public pressure, the regime conceded and backed down on its plans to move the department. On May 27th, the Iranian public turned out for the funeral of Iranian film icon, Naser Malek Motie. The actor and cinematographer suffered at the hands of the Iranian regime throughout his life and represented a beacon for supporters of the opposition movement. The funeral soon turned into an anti-government protest as those in attendance began chanting anti-government slogans. Agents loyal to the regime attempted to disperse the crowd, firing tear gas, however, the brave mourners would not be moved. The tireless work of the MEK orchestrated the May protests, providing Iran’s youth with a beacon of hope for a brighter future for Iran. The growing number of protests in May shows the burning desire for regime change in Iran, despite all the repressive measures has not changed, but grown by 233% in comparison to the protests in April.